Children ages 7 to 13 are invited to Palatine Park District’s Community Center for an evening of sports, games, contests and other activities on Friday, March 10, from 6:00pm to 8:30pm. 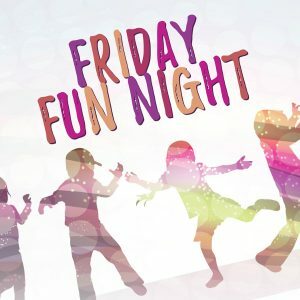 Friday Fun Night will be held in the gym at Community Center, 250 E. Wood Street, Palatine. This night of recreation fun will include basketball, dodge ball, floor hockey, hula hoops, and ping pong in the Community Center gym, while board games, and Lego building will be available in activity rooms. Concessions will include pizza, snacks, and beverages for purchase. Registration fee is $8.00 per child through Thursday, March 9, or $10.00 each on the day of the event. To register, use program code 126600-01. Registration can also be completed in person at Birchwood, Community Center, or Falcon Park. For more information, contact Jason York, Facilities Coordinator, at jyork@palatineparks.org or 847.496.6251.